Basketball arcade games are a great way to enjoy the game you love outside of actually playing it. 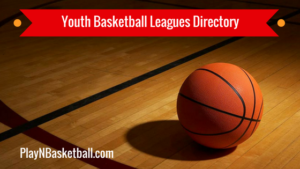 These games allow you to hone your touch around the rim, and even if they aren’t a realistic representation of full court basketball, they certainly don’t harm your skills. 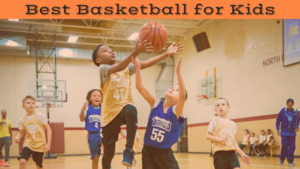 This review will provide you with information on what to look for to find the best basketball arcade game for indoor play, as well as give insight into some of the worst options on the market to avoid. What is the biggest difference between an arcade game and playing basketball on the mini hoop? Pop-a-shot Arcade Basketball Game Review: Pop-a-shot’s well-known arcade game is, quite simply, the best basketball arcade game on the market. It is constructed out of high quality materials, meaning it will last you a long time, and is easy to assemble. The sound effect options are as good as it gets, and there are six available to you, while the ten different skills challenges and head-to-head games mean you won’t get easily bored of this product. 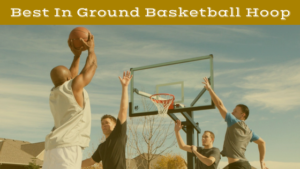 You’ll give this basketball game plenty of use, but when you aren’t using it, it can be easily folded away and stored within a relatively small space, making it the best foldable basketball arcade game available. You’ll pay a little bit more for this one, but as is generally the case, you get what you pay for, and this will get plenty of good use for a long time. Lifetime Basketball Double Shot Arcade System Review: Lifetime is well known for its full size basketball rings, but it turns out they make a pretty good basketball arcade game too. This is the best double shot basketball arcade game money can buy, with a number of great features putting it ahead of its competitors. The infrared scoring sensors will ensure none of your friends can cheat their way to victory, while the electronic buzzers will make you feel like you’re playing in the NBA – all from the comfort of your own home! 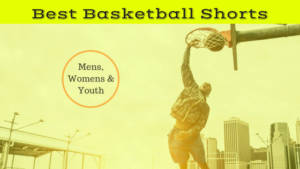 Including easy storage available through Lifetime’s fold up system, this is overall one of the best indoor basketball arcade games you’ll find. Giantex Indoor Basketball Arcade Game Review: The Giantex Indoor Basketball Game takes arcade games to a new level. This product has not one, not two, but three hoops, meaning you can beat two of your friends at a time, rather than just one. With a digital scoreboard and buzzer, this is the best electronic basketball arcade game out there. Six balls come with the product, so you and your friends can have a couple each as you battle it out for arcade supremacy. Of course, given it has three hoops this product is inevitably a little bigger, so you’ll need to ensure you have the space for it before you buy. If you do though, it’s well and truly worth it. Harvard Single Shootout Basketball Game Review: If you plan to spend most of the time you devote to your arcade game playing alone, there’s really no need to buy a product with multiple hoops. Most products do have at least two, but this invariably takes up more room, and if you just need a solitary hoop then this is the best single hoop basketball arcade game you’ll find. Harvard have made a game with electronic scoring and time clock, so you have something to compete against in the absence of a second player, and an easy ball return system. On top of that, its construction is high quality, and you should get good use out of this one. With two balls and an air pump, the Harvard Single Shootout Basketball Game has all you need to get the most out of your basketball arcade system. Shaq Basketball Arcade Double Hoop Big Shot Review: Last but certainly not least, the Shaq-endorsed system puts a creative spin on the basketball arcade game you know and love. It has all the normal perks: an easy fold up system, four balls and a pump, but most impressive is the advanced technology utilized in this game. This system has a downloadable app and bluetooth system, which records your scores in real time. Your friends and those you have played against can see how you’re going, meaning even when you’re playing alone you’ll feel like you have some serious competition. 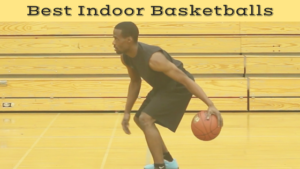 The innovative measures Sportcraft have gone to give this product a great point of difference from its competitors, and make it one of the best indoor basketball games you can find. HLC Sports Double Shot Arcade Electronic Basketball System Review: This product comes in a little bit cheaper than some of its competitors, but not significantly enough to justify the drop off in quality, which comes with it. HLC Sports have included all of the regular features, with the arcade system coming complete with four balls, a pump, and an option to fold everything up after use. Unfortunately, there are complaints with many of these elements. Reviews suggest that the balls consistently lose air, and need to be pumped up prior to each use. The system itself is not very durable, and likely won’t last you anywhere near as long as some other products, and the customer service system of this organization could do with some improvements. This is certainly a cheaper option, but it is still one to avoid given the lack of quality associated with it. Spalding Dual Shot Electronic Basketball Game Review: Spalding can generally be trusted to make high quality basketball products, but this isn’t one of them. The Dual Shot Electronic Basketball Game doesn’t possess the durability usually associated with Spalding, and you may not get what you pay for with this game. Many reviews criticize the difficulty involved in constructing the product, and there are also many claims about it malfunctioning soon after purchase. Issues with the electronic features, such as the game automatically counting baskets as soon as they touch the backboard, interfere with the enjoyment of the game. The balls also tend to deflate very easily and don’t last very long, meaning you will likely have to purchase new ones to go with this product. Considering this product has a higher price tag due to the Spalding name, it is definitely one to avoid. 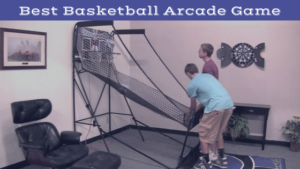 In order to get the most out of your indoor basketball arcade game, it is imperative that you consider some important factors prior to your purchase. This will ensure you get exactly the product you’re anticipating, and won’t be faced with any unwelcome surprises. These include standard factors such as price and durability, but other things specific to arcade games need to be considered too. Number of hoops: Different buyers have different needs, and the number of hoops is one of these that needs to be addressed prior to purchase. For some, the arcade game will simply be a fun game to have in the corner, and one ring will be sufficient. Others might want to be able to compete with friends and family, in which case two or even three rings will be more appropriate. Of course, the more hoops, the larger the size of the product, so those with minimal space will also need to consider how big a game they can fit in their house. Buying an arcade game with the wrong number hoops can be problematic – too many and you will take up far more space than you need, and too few will leave you or your friends sitting on the sideline while others compete. Make sure you consider exactly what you’re after with regards to this prior to purchase. Cost: As with any purchase, this needs to be considered. For most people, a basketball arcade game is simply a fun addition to the house, something with which friends and family can get a little bit of enjoyment out of. With this in mind, the average buyer isn’t going to want to break the bank with an indoor basketball arcade game. This doesn’t mean you can’t though, as many of you may have the money to spare on the product, or may want to buy the absolute best of the best. If this is the case then fair enough, and if you choose correctly you will likely get a basketball arcade game, which is a little higher quality than many of its cheaper competitors, and which will last you for many years to come. 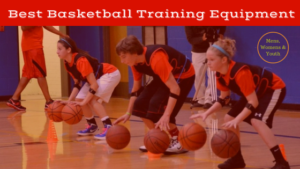 Quality of the products: This can range from the quality of the balls and hoops, to the electronic features, to the construction of the system itself. Many lower quality basketball arcade systems have problems with all of these areas, be it due to a ball which continually deflates, a scoreboard which malfunctions after a couple of months of use, or a support pole which starts bending out of place after being folded for storage a few times. Clearly, nobody wants this, and even if the product was a cheaper one, it is perhaps not worth your time if you are going to have to deal with all of these issues. Make sure you consider whether you are going to get what you paid for prior to buying, because some of the lower quality basketball arcade systems can be more trouble than they’re worth. Essentially, an arcade game provides an added element of fun compared to even on of the best mini hoops. Most systems come with two or three rings, meaning you can compete against friends and family for mini basketball supremacy. You’ll be able to keep your scores, and often have timed matches against anyone you like. Of course, another added bonus of purchasing an arcade game system is that the ball is automatically fed to you, meaning you can get off more mini jump shots in less time than with a mini hoop, which forces you to collect your own rebounds. Basically, an arcade game simply has more elements to it than a mini hoop, and will provide you with greater all-round enjoyment. 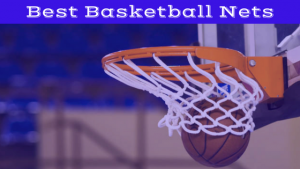 Basketball arcade games are a whole lot of fun if you purchase the right one, but there are plenty of factors that need to be considered. The 2019 Buyers Guide above has provided you with a comprehensive list of things to think about prior to your purchase, and listed some of the best and worst options available to you on the market. With all of this advice, you won’t be able to go wrong with your arcade system, and will be able to find the best indoor basketball game for you.